How to Know the Generic Equivalents for Branded Medicines? know the difference between generic and branded medicines and low cost alternates of the costly branded medicines. Branded medicines are very costly due to the additional cost of the brand promotion. There are a lot of generic alternatives for these costly branded medicines. This can help to save money for the same medicines. Sometimes doctor prescribed a medicine that is not available at the medical store in this case chemist may look for the medicines having the same composition. The medicines having same chemical composition without a brand name are known as generic medicines. Generally, branded medicines are more expensive than the generic medicines. Also see: Why Companies are Selling the Same Drug at Different Prices? 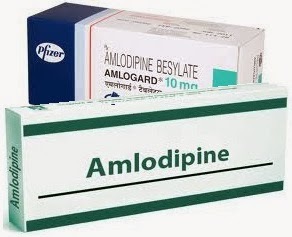 For example, if a doctor had prescribed Amlogard 10, a branded medicine produced by Pfizer, used to treat the high blood pressure, the active ingredient of Amlogard 10 is 10 mg Amlodipine. The chemist may suggest another medicine having same active ingredient in the same quantity. Most of the doctors prescribe more expensive medicines to get huge incentives from the medicine manufacturing companies. Following database can help you to find out the generic and branded alternates for the expensive medicine brands. MyDawaai.com – This website has the database of all the available brands and it can help you to find the alternate branded or generic medicine with their price. MyDawaai also provides the name of the medicine manufacturer along with the pack size. iOS and Android mobile apps of MyDawaai are also available that can help finding the alternate medicines on your mobile phone. Some other databases are Getdavai.com, Healthkartplus.com. Note: It is important to take the Schedule H drugs only after the prescription of the registered doctor and doctor should be consulted before switching the branded medicines. Thanks for the post , I have faced same problem , i always brought a branded medicines as per doctor's prescription but now I get to know generic medicines are also good and its not so much expensive.